Rabindranath Tagore, India's foremost writer and the first non-European to win the Nobel Prize for literature, is perhaps best known for his tender and passionate tales about human yearning and longing. Here then is a collection of 18 short stories that highlight Tagore's profound vision. 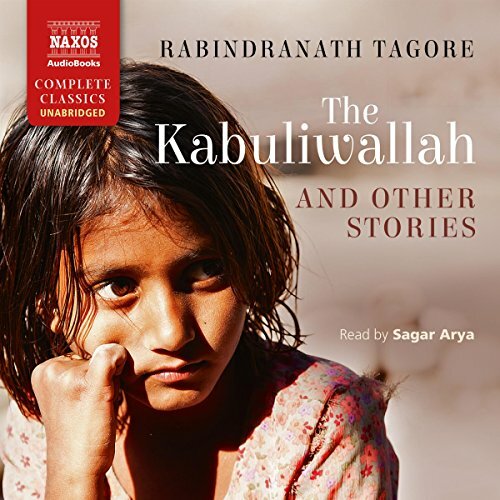 The collection begins with "The Kabuliwallah", a heartwarming story about the relationship between a father and daughter. In "The Postmaster", a young man from Calcutta finds himself adjusting to life in a remote village, and "The Hungry Stones" recounts an unlikely encounter at a railway station. I'd recommend this book to everyone who loves sweet and heart touching stories. Amazing writing. I wasn't quite sure what to expect, but these stories are touching and superb - should be required reading/listening in school. The reading is also fantastic - very much in sympathy with the texts.